Update, May 18: We spoke to the co-studio head of Treyarch about Call of Duty: Black Ops 4’s ‘Blackout’ mode, and he gave us some extra details on the studio’s take on the battle royale genre. Check out the best battle royale games. When asked more about the map, Gordon revealed that it will actually be made up of locations from past Call of Duty titles. We also spoke to Gordon about Black Ops 4’s missing story campaign, and he told us the game “never had a traditional campaign.”We’ll have more from our interview with him very soon. Yes, Black Ops 4 will have a battle royale mode, and it’s called Blackout. The mode will feature characters and features from throughout the Black Ops series. 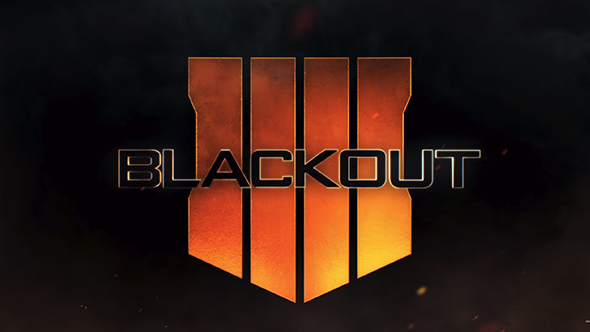 Blackout will feature the series’ “signature controls and gameplay systems” and fast-paced action, applied to a much larger map with a goal to be the last man standing. It all takes place on a massive map that’s “1,500 times bigger than Nuketown,” and will include land, sea, and air vehicles. It wouldn’t be a shock to see Call of Duty hop on the battle royale train regardless, but this announcement also comes following repeated rumours that the game would feature just such a mode. You’ll be able to play it for yourself when the game launches on October 12. Original story, April 18:Yesterday, word broke out that the upcomingCall of Duty: Black Ops 4 would not feature a single-player campaign. Then, reports came that a battle royale mode was in the works to help fill in the content gap. Now multiple sources have stepped forward with similar reports, each adding a bit more detail to the overall picture. Here’s what we know. All this info comes from anonymous with inside knowledge of the game speaking to various outlets. The first report came from Polygon, who suggested that Treyarch dropped work on the campaign after it was clear they couldn’t complete it in time for the release date. Co-op modes were suggested as a stand-in for single-player options. This prompted COD supersite Charlie Intel to publish their own report, which suggested that Raven Software are working on a battle royale mode to help fill in the content gap from the lack of a campaign. A bit more detail came from Eurogamer, whose sources say that the Black Ops 4 battle royale may not hit 100 players, but developers are working hard to reach that number. Numerous other reliable reporters have echoed the stories. Early on, Kotaku cited their own sources in confirming the battle royale mode and the lack of single-player. Kotaku’s Jason Schreier and Waypoint’s Patrick Klepek – both among the most reliable newshounds in the industry – publicly mentioned hearing similar information. With this many sources saying the same thing, it starts to sound more and more likely that it’s all true. We’ll likely find out for sure when Activision host their reveal event for Black Ops 4 on May 17.